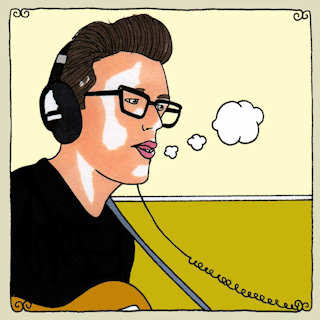 Jeremy Messersmith's been getting a lot of love on the internet over his Daytrotter Session recorded last week at The Horseshack studio in downtown Rock Island, Ill. For those unfamiliar with Daytrrotter recordings, they are made with "minimal mic’ing, through discrete preamps and with some limiting to the mixing console, where they are printed to 1/4” analog tape running at 15 inches per second (usually BASF 468). The analog master is later transferred to a computer and converted to MP3." And no, we don't know what any of this means, but we know it sounds cool. To listen to the session click here.